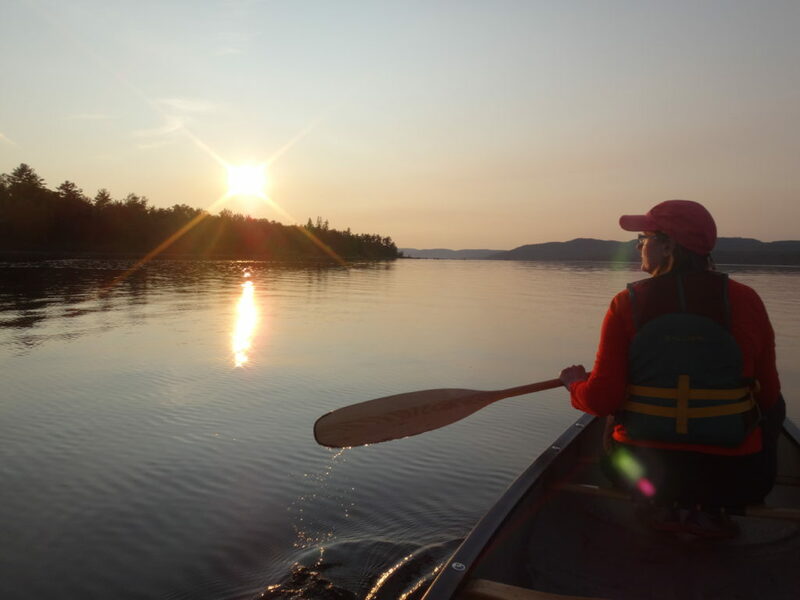 Deep River offers many lovely canoeing opportunities and destinations. For a relaxed evening paddle, I frequently head downstream from the town along the Ontario shoreline, past Lamure Beach. As the heat of the day dissipates, the wind dies down and the river often turns glassy and reflective. I follow the outer edge of the sand flats, past two rocky points, and into Welsh Bay, where Kennedy Creek empties into the river. I frequently see young lake sturgeon and longnose gar finning in the shallow water of the bay, feeding on the bottom. I’ve spied bald eagles sitting sentinel in the pines along the shore, and listened to the chiding of ospreys as I glide past. 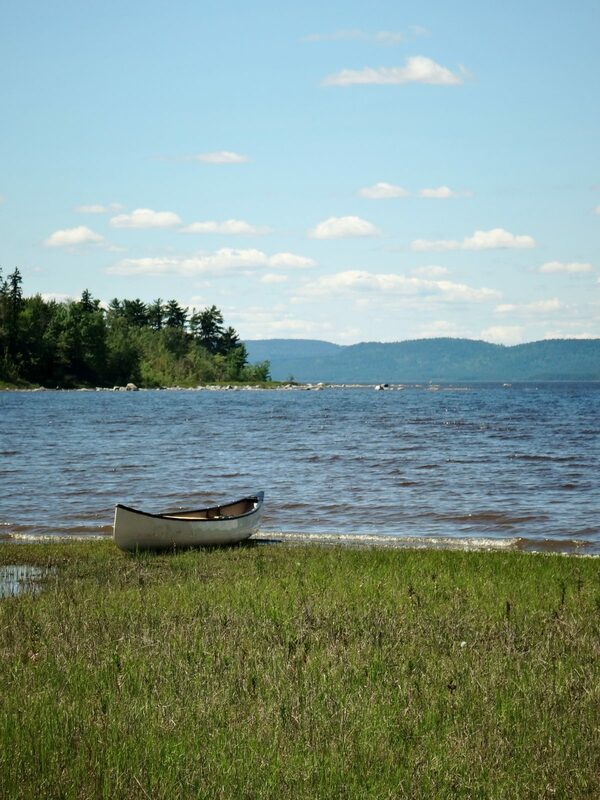 Pulling my canoe on to the sandy shore, I like to cross the bar to the beaverpond behind the beach and watch for wildlife in the thickets. The shoreline, here, remains largely unchanged. I can imagine Samuel de Champlain and his Algonquin guides pulling their canoes on to shore 400 years ago to make camp for the night. At least once during our annual visit to Deep River, I like to cross the river to the bay just inside Houseboat Point, where an overgrown logging trail heads up into the forest. A 20 minute walk takes me to the path to Mount Martin, almost hidden on the north side of the trail. 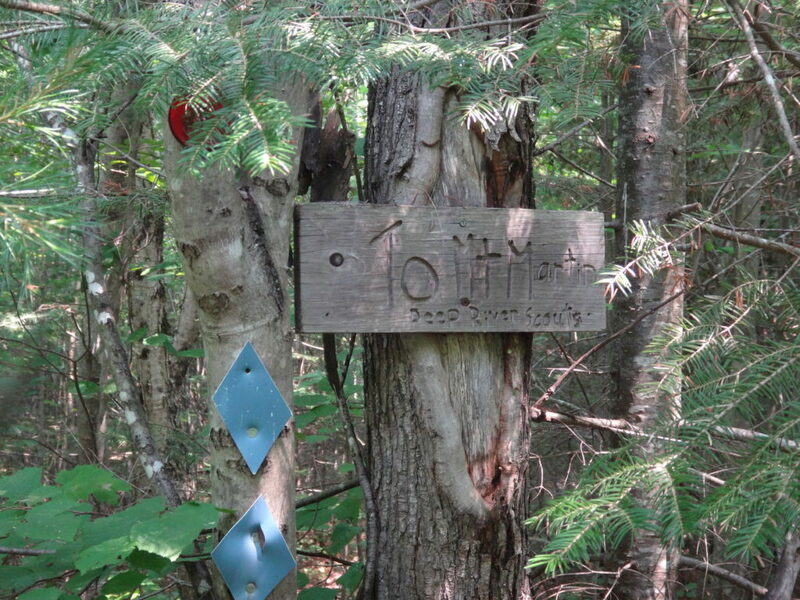 An inconspicuous sign, placed by the Boy Scouts, marks the trailhead. 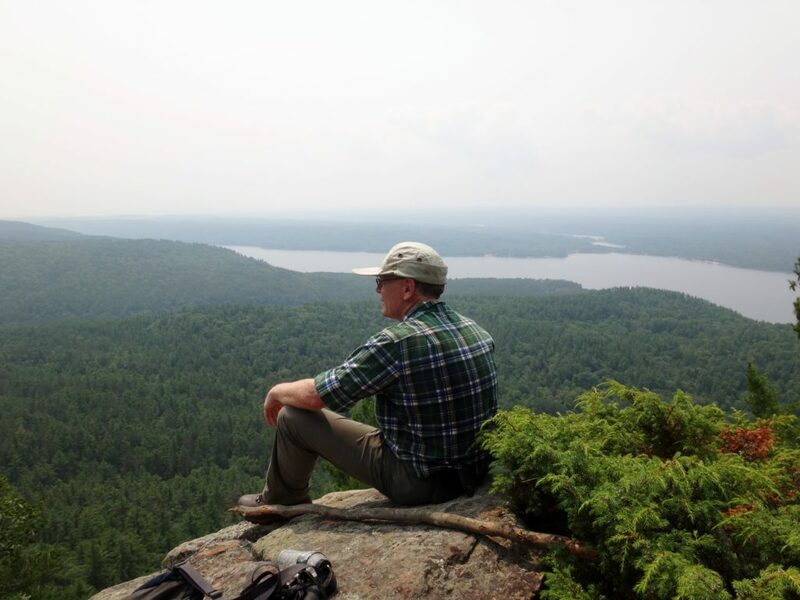 On a hot, summer day, the climb up through the forest provides a workout, and mosquitoes whine incessantly. However, after a few false summits, the trail finally emerges on to an open, rocky lookout over the river and the town on the far side. 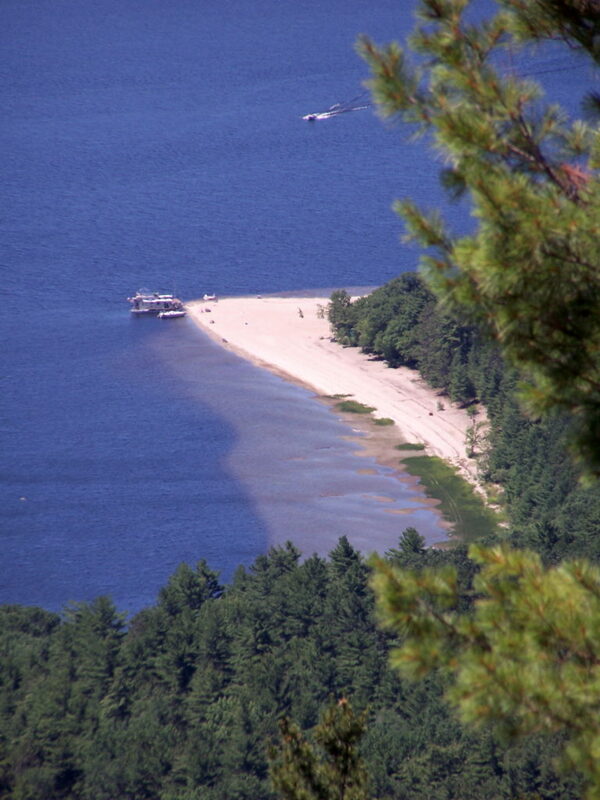 The sand flats and shoals show clearly along the shoreline. Ravens and turkey vultures soar above and below, riding the breeze that rises over the escarpment. Breaking out a lunch, I rest and recuperate on the rocks, even lying back and closing my eyes for warm nap. 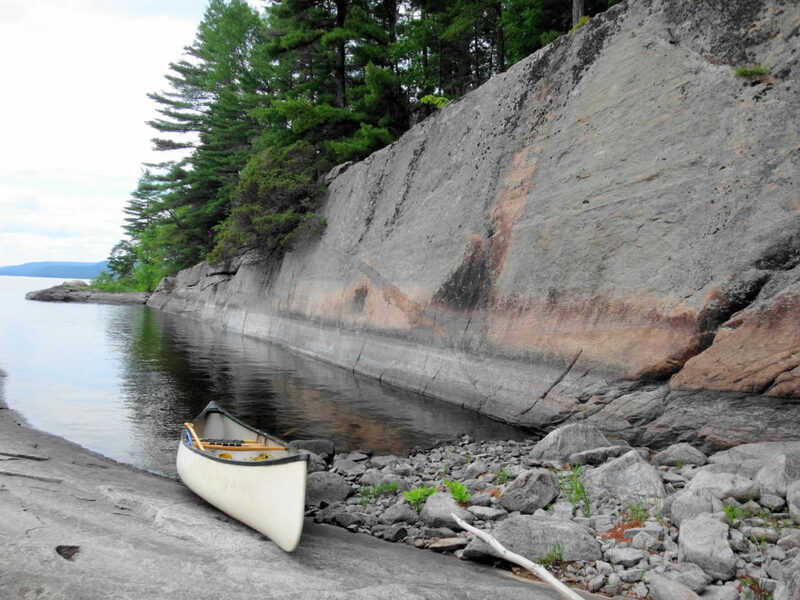 Another, more challenging paddle leads up the Ottawa River along the Quebec shoreline to Baie de la Presqu’ile d’en Bas and Lac a la Tortue. 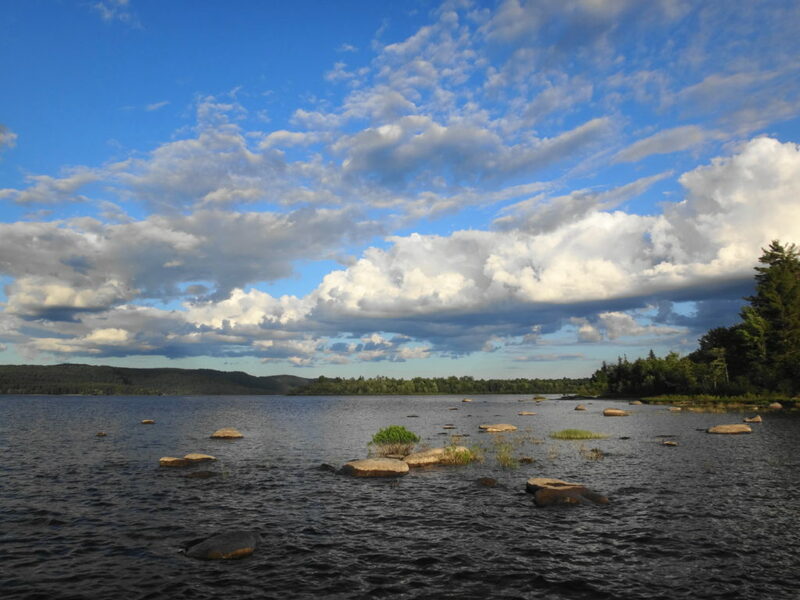 This 20 km long trip follows the rocky east shore of the river, where the long seismic fault of the Ottawa – Bonnechere Graben (the geological feature that we call the Ottawa Valley) and repeated glaciation has laid bare the tortured roots of the Canadian Shield. 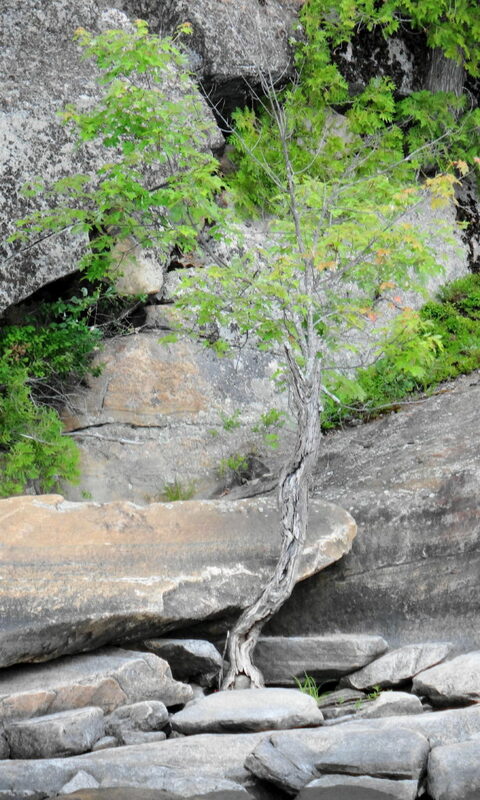 Broken only by a few short, sandy beaches, the old gneiss falls sharply into the deep waters. Fissures and cracks spit the billion year-old rock, along with coarse veins of crystallized quartz and other minerals. Sheered plates of stone form rocky walls and ledges. A forest climbs back from the shoreline, while a few hardy, slow-growing trees find a tenuous foothold closer to the water. The bay, itself, lies under a towering, shattered rock face, sheltered from the wide river by a long spit of sand deposited by an upstream tributary. 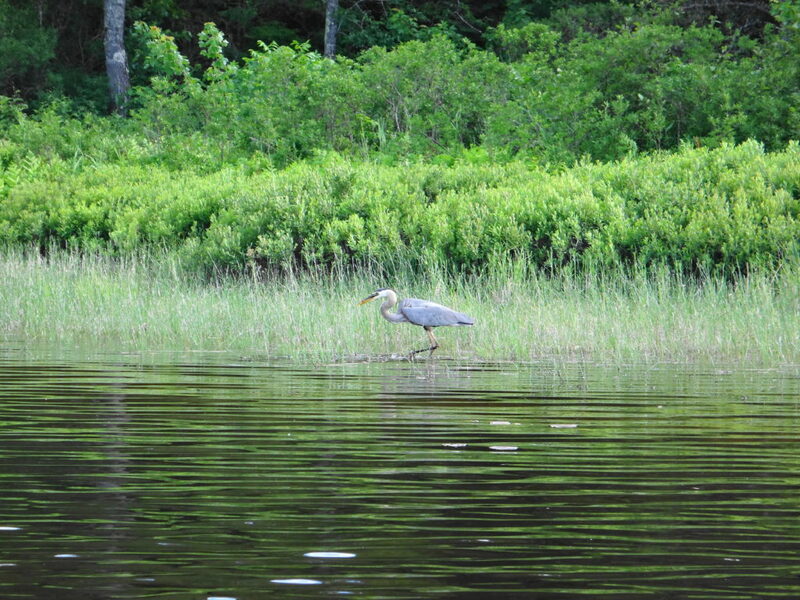 At the head of the bay, shallow Lac a la Tortue provides superb habitat for pike, gar, turtles and shorebirds. Unfortunately, the bay has become very popular with campers and houseboats, who sometime line the beach in small flotillas. Nonetheless, the scenery provides ample justification for a visit, as do the healthy pike that feed along the rocky, Ottawa shoreline. Of course, at the end of long day of hiking or paddling, nothing feels so good as plunging into the clean, clear river at Lamure Beach or Pine Point. Many times, I’ve waded into the water to the drop-off, then dived under. The distinct, wonderful scent of the water fills my nostrils. The water washes over me. I rise, turn on my back and float under the sunset sky, as the heat seeps from my skin along with sweat and weariness. The quiet envelopes me like the river.. Somewhere inside me, an ancestral memory stirs. I think about tomorrow’s adventure.